At times, candy can seem like an art form. Swirling colors, patterns, and textures combine to create little nuggets of sugary joy. At its best, candy is impossible to resist – igniting a craving in even the sourest souls. At its worst, candy is still pretty darn good. When you start with something as universally adored as sugar, it’s hard to make the end result anything less than delightful. Manufacturers have used this candy carte blanche to go bonkers in the development department. Some like to keep it traditional and do simple snips of colored candy ribbon, but some set themselves apart from the rest with endlessly innovative designs. Join Old Time Candy as we bring to light some of the funky forms candy makers have thought up to deliver your sugar fix. Away we go! These little gems might seem right at home in a riverbed, but these are actually candy coated chunks of fine quality chocolate. 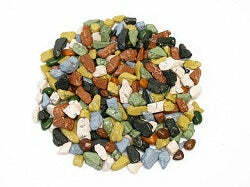 Choco Rocks are astoundingly simple, but absolutely mesmerizing. If you look closely, each and every rock is unique and sports a one-of-a-kind painting on its crunchy shell to give it the authentic look of a handful of gemstones. Sometimes to be innovative you have to think back to basics! 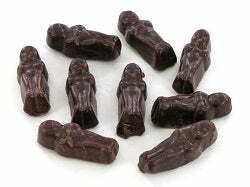 Chocolate Babies are certainly one of the strangest manifestations of a sweet treat. Similar in texture to candy corn, these little babies are a sure fire conversation starter. Don’t you want to just sing these guys to sleep? I hear the sound of chewing is particularly soothing. First the young, now the old! 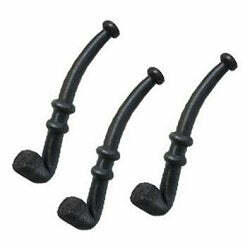 Licorice Pipes are the perfect candy configuration – offering a fun shape that adds interest, while playing off the old fashioned ideals of licorice itself. Even if you don’t care for the taste of black licorice, you’ll feel like you’re walking a 1920s boardwalk with these curvy candy pipes. And last but not least, another old favorite: Wax Lips! 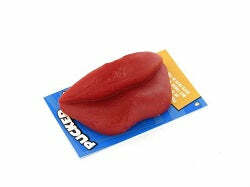 Not so much of a candy as it is a novelty, the big red pucker on these wax lips gives anyone’s day a much needed boost. After some research on what exactly you’re supposed to do with wax lips, many people said that after getting a few laughs, they chewed it like gum! One man said that he ate it for years before someone told him it was just wax…almost proving that there’s no such thing as “bad” candy! Even when that candy is really colored wax. 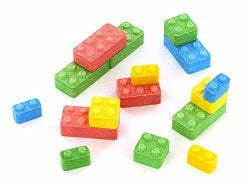 Thanks for joining us on this roundup of kooky candies! Any ones we missed? Write in the comments to have your idea featured on the blog!